"Correlation is not causation." This mantra, chanted by scientists for more than a century, has led to a virtual prohibition on causal talk. Today, that taboo is dead. The causal revolution, instigated by Judea Pearl and his colleagues, has cut through a century of confusion and established causality--the study of cause and effect--on a firm scientific basis. His work explains how we can know easy things, like whether it was rain or a sprinkler that made a sidewalk wet; and how to answer hard questions, like whether a drug cured an illness. Pearl's work enables us to know not just whether one thing causes another: it lets us explore the world that is and the worlds that could have been. It shows us the essence of human thought and key to artificial intelligence. 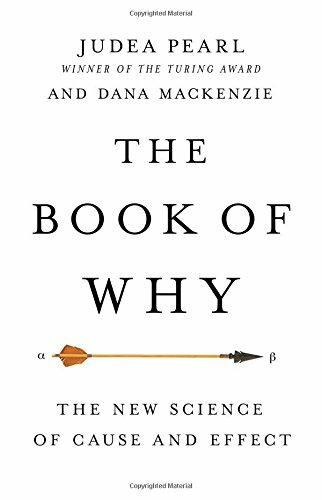 Anyone who wants to understand either needs The Book of Why. If you have any questions about this product by Basic Books, contact us by completing and submitting the form below. If you are looking for a specif part number, please include it with your message.